I stayed the 5footway.inn Project Chinatown 1 in Singapore. 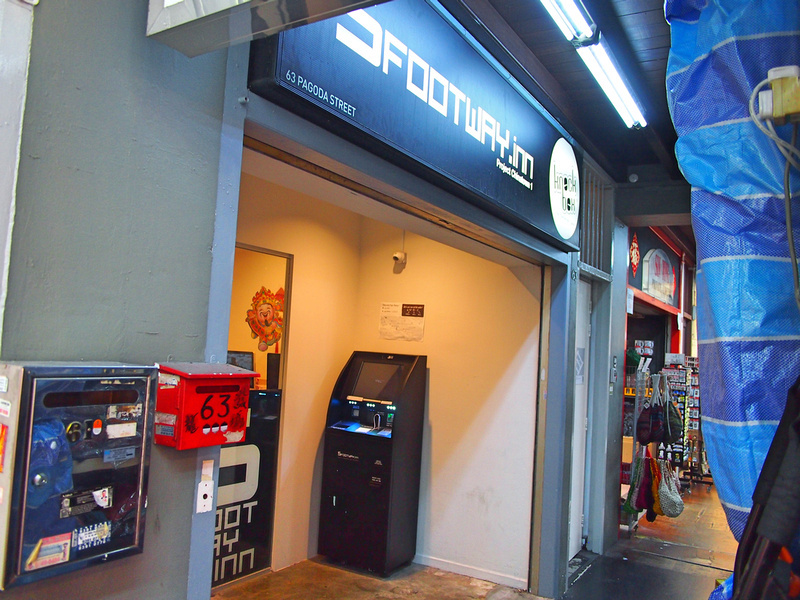 I was a guest of 5footway.inn to review their hostel. I have stayed here previously in the private room, so this time I was trying out the dorm room experience. Travellers in Southeast Asia will be aware that Singapore is the most expensive city in the region, especially for accommodation. As a result there is a better selection of hostels, and 5footway.inn have made a name for themselves by offering modern hostels in Singapore. They now have five hostels in their collection. The Project Chinatown 1 property is in Pagoda Street, which is right in the middle of the Chinatown action. Just exit from the Chinatown metro and you are on the street. From Chinatown you can walk to most of the highlights of Singapore, and you have the option of two metro lines next to the hostel. 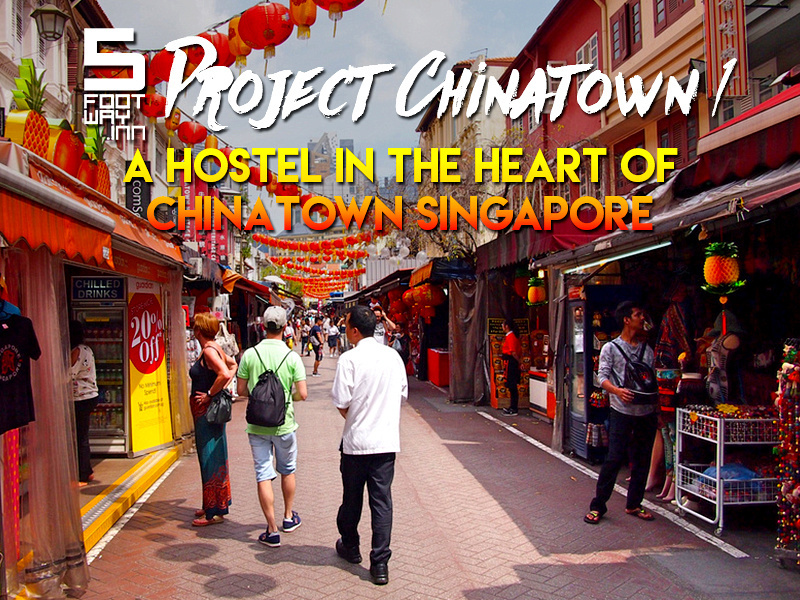 The hostel is in a historic shophouse building, hiding behind the street markets. I was in a 6-bed dorm for this stay. The beds had bunks that were custom-built to fit the room. 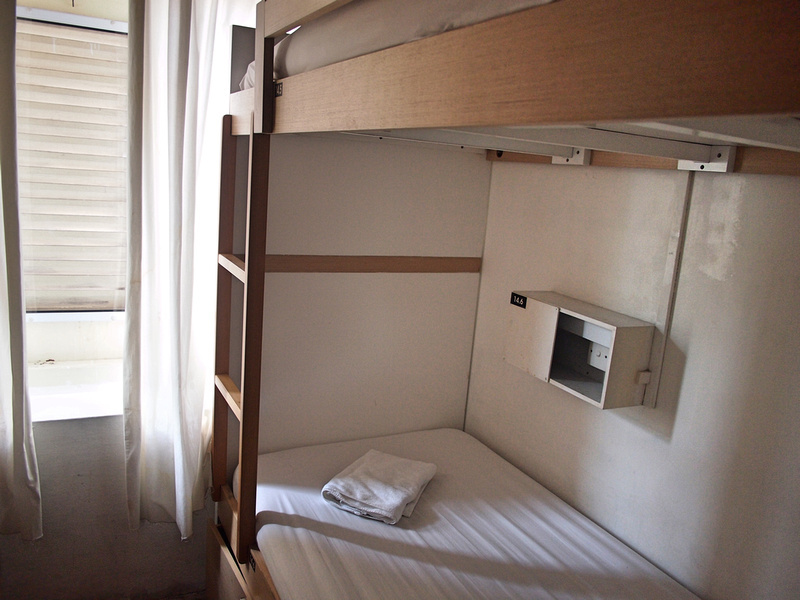 Each bed has a light and a charging station where you can leave your phone overnight. There are lockable locker draws under each bed with enough space for big bags. The bed was comfortable, and the room was clean and air conditioned. 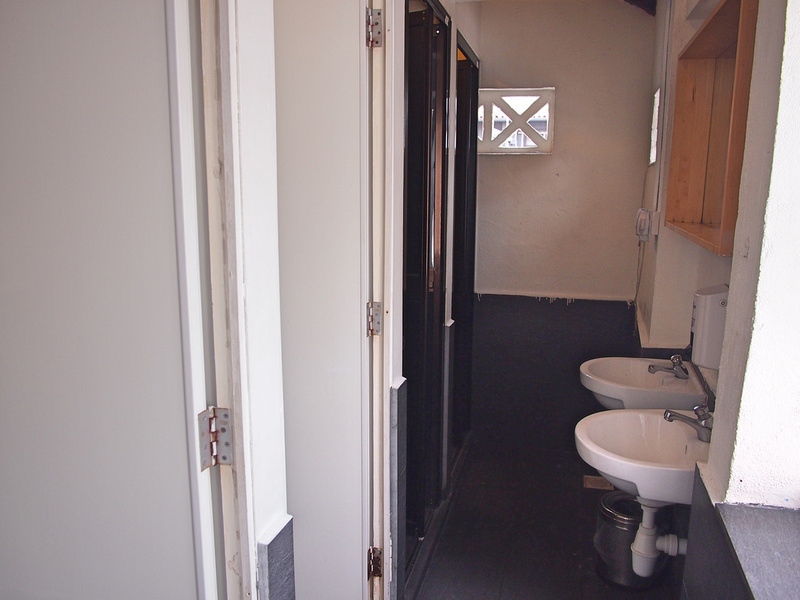 There were two bathroom options on my floor, each of them being at the back of the building and well ventilated. 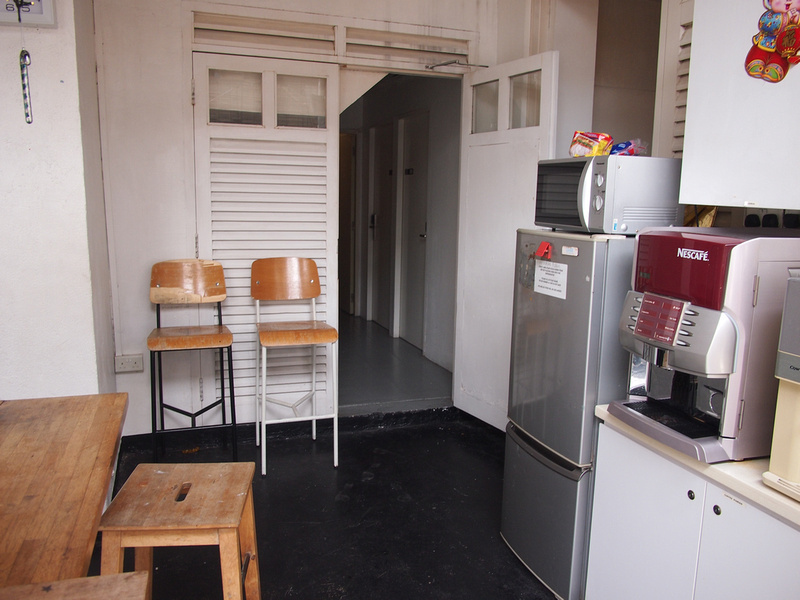 There is also a kitchen if you want to self cater. I have a hard time resisting the temptations of Chinatown, but there is a Tesco supermarket nearby if you want to cook. 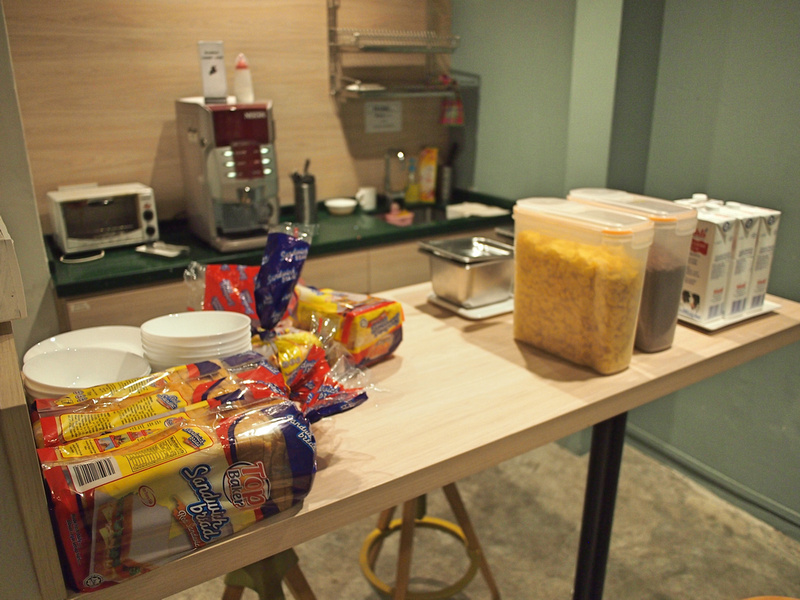 There is also a breakfast provided in the common area next to the reception. The breakfast is cereal and toast, which you just help yourself to. There is free wifi throughout the property, and I had no problem connecting in my room or anywhere else. there is also public computers if you don’t have your own device. You also get a free sim card when you arrive which has a small amount of credit on it. This is a great idea as it saves you hunting down a sim card if you have just arrived in Singapore. It’s also easy to get to from the airport now that the Downtown line has been extended. From the airport you go one stop to Expo, and then change to the Downtown line and go to Chinatown. Overall this was a great hostel to stay at in Singapore. 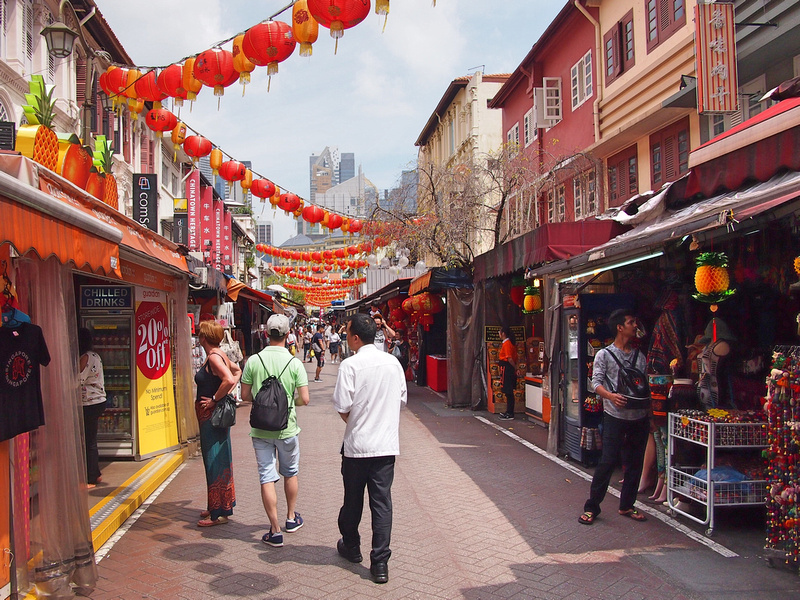 If you are here for a short time then staying in Chinatown will ensure that you can make the most of your time by being close to the main sights. Also see my reviews of the other 5footway.inn properties – Project Ann Siang and Project Boat Quay. If you are unfamiliar with Singapore, I consider Chinatown as one of the best areas to stay. Read more about the best locations in Singapore.